There’s no denying that we all love an outdoor barbecue: skewers, potato salad, burgers, fried onions, paper plates, hotdogs – all the good stuff that we picture on a typical BBQ table spread. What certainly doesn’t come to mind are pizzas, cookies and breads; and those are exactly what the BakerStone Pizza Oven Box brings to the patio table! 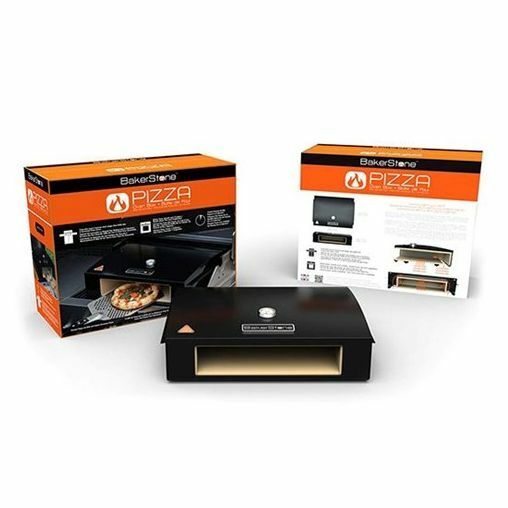 [embed]http://youtu.be/K1lBy2apN2Q[/embed] We absolutely love this innovative pizza oven box and we want to share with you the reasons why: It’s ideal for parties and gatherings What better way to host an alternative party than with a ‘create-your-own’ pizza night? Buy in the pizza dough, tomato sauce and a selection of toppings (go as crazy as you like – anchovies, pineapple, spinach, olives, bananas?!) and leave everyone to their own pizza creating devices. It creates a fantastic way to interact with your guests, children and adults alike, whilst having great fun. With each pizza taking less than 5 minutes to cook, you will have a steady flow of pizzas being churned out of the oven box ready to devour. 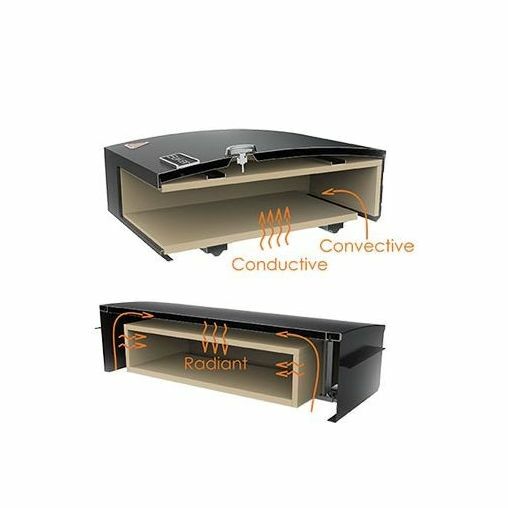 Quick and easy to use Not only is the Oven Box easy to assemble in the first instance, it then doesn't require any cables, plugging in, batteries or charging in order to be used. You just pop it straight on top your grill, switch on the grill and monitor the temperature range indicator until it’s at the desired temperature. Cleaning the product after cooking is also easy – keep the burners on for an extra fifteen minutes, the residue will burn off and can be pushed to the back of the oven – simple! Comes complete with added recipes From a classic Margherita to Banana and Nutella Dessert Pizza, BakerStone comes with added inspiration for your cooking – ideal for homemade pizza novices or for changing the perception of regular pizza makers! It doesn’t just have to be pizzas… Despite its name, the pizza oven box is perfect for cooking fish, vegetables, breads, and casseroles – in fact, virtually anything you’d normally put in an oven, but wouldn’t necessarily think to cook outside. Cue the techy part… Want to know how all this is made possible? The Pizza Oven Box design boosts the temperature of outdoor grills to that of a real wood burning pizza oven. Creating a unique air flow system which enhances the convective, conductive and radiant heat in and around the cooking chamber is achieved by the combination of the stone baking chamber with the enamelled steel housing, all of which amounts to incomparable cooking performance. We have absolutely no doubt that you will love the BakerStone Pizza oven Box just as much as we do. The BakerStone Pizza Oven Box is at a fantastic price of £129.99, and would make a perfect gift for virtually any occasion - especially for dads this Christmas!